Looking for simple, cost-effective garage floor maintenance? Call Zelaya Jr Painting to apply an epoxy coating for your garage floor. We've been applying garage floor coating systems for over 19 years, and would love to offer you a free estimate. 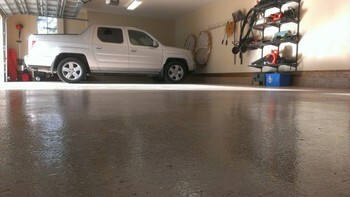 Why Apply Coating to Your Garage Flooring? Zelaya Jr Painting offers a wide selection of colors, textures, and patterns to give you the finished look you're dreaming of. From a simple matte finish to a marble metallic finish, we provide custom garage flooring to fit every style and whim. and much more! Call (704) 286-6866 for a quote!